A couple of weeks ago I was introduced to a new brand, Just a Splash, whose products really are revolutionary for the foodie lovers out there. Have you ever gone to follow a recipe to see you need a splash of rum/port/brandy only to realise you don’t have any in and a bottle will cost at least £10 and then find yourself having a debate over whether it’s best to buy a bottle and leave in in the cupboard for 3 years never to be touched again or for go the alcohol element of the sauce altogether and hope for the best? Well that’s exactly what happened to Just a Splash founder Pia, which led her to create these amazing 100ml alcoholic pouches perfect for using in sauces. Not only are these Just a Splash pouches perfect for your own recipes but they also come with a sauce suggestion and recipe on the back, so if you fancy cooking with rum for the first time you can use this to create a banana flambe or perhaps a brandy infused beef stroganoff would tantalize your taste buds more. What ever your tipple and foodie favourites these are bound to be a hit and are sure to become your store cupboard essentials in no time. 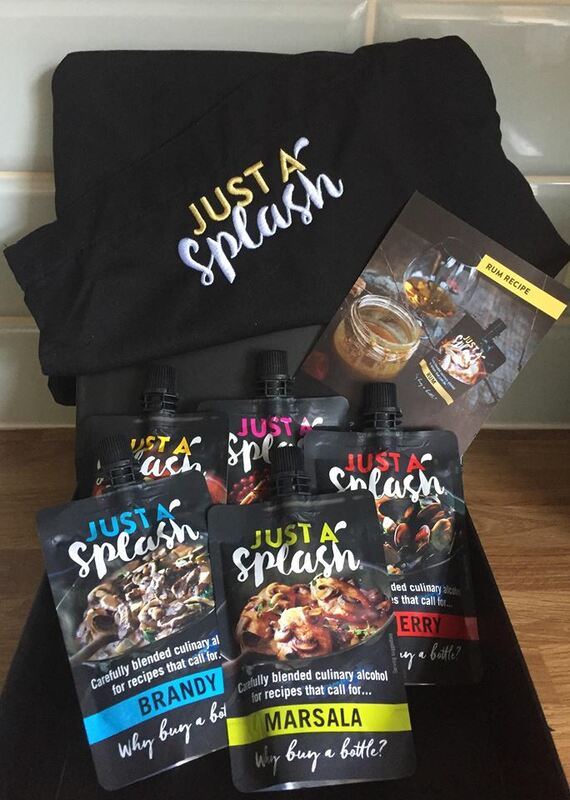 For your chance to win a lovely gift box which includes one of each flavour Just a Splash as well as recipes and a Just a splash Apron then enter our fabulous competition below. 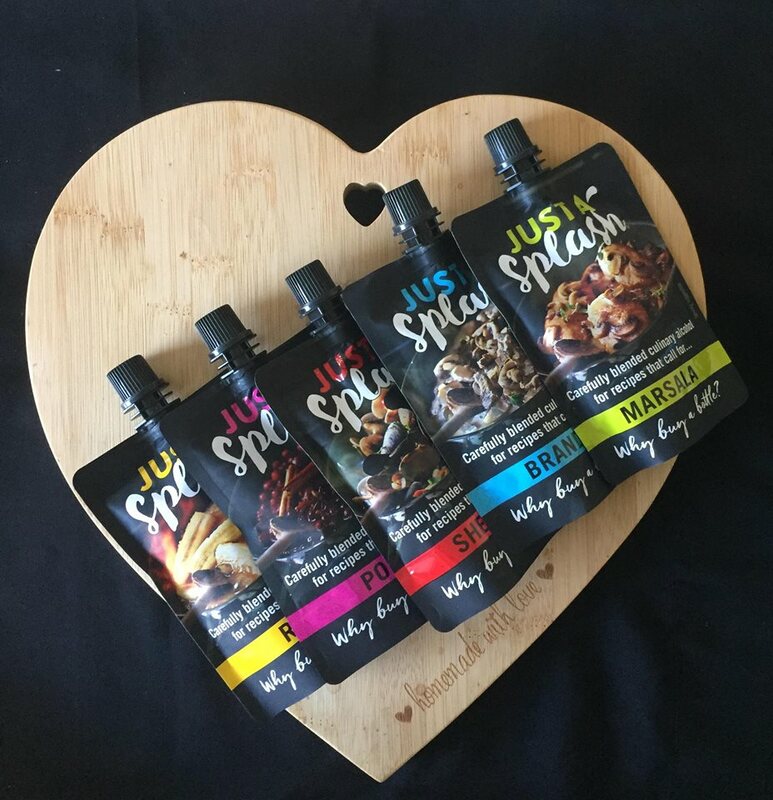 However if you can’t wait to find out if you are a winner then the Just a Splash products are currently available in Ocado for £1.49 on offer from £1.99 so stock up quickly. Does anyone else think the whole pen licence thing is barbaric? I’d try the Sherry first thanks! I would try the brandy first. Marsala, as I often see recipes which require this. I’d try the port first. Marsala, I always find recipes asking for it but I can’t imagine buying a whole bottle of it. Probably brandy in an onion soup, we don’t drink, so a bottle would last a very long time. I think I’d like to try the Brandy first! I would love to try the brandy Splash pouch first. I would like to try the rum first. I would try the Rum first. Rum for me, I think!